Ayurvedic medicine lists amla as beneficial to all doshas and recommends its use for supporting digestion and to soothe lower digestive discomforts. Cumin is a classic digestive aid and brings a distinctive flavor to a variety of dishes. It stimulates healthy digestion, relieves gas & bloating, and boosts immunity. It soothes stomach aches and relieves nausea. It is particularly helpful for inflammatory conditions of the gut. In Ayurvedic medicine Calamus is believed to strengthen wisdom, mental clarity, and the voice. 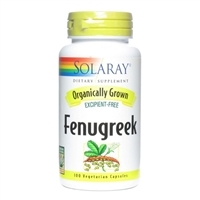 It is used to enhance memory, concentration, and to tone the nervous system in general. Chinese medicine practitioners use Calamus to recover the voice after a stroke. Licorice has been used in Eastern and Western herbal traditions to make coughs more productive and as a vitalizing herbal tonic. A parent of peppermint and one of the oldest mints cultivated, spearmint is used to flavor all types of foods and makes a refreshing herbal tea and is delicious iced or hot. The loose bulk herb Stellar Mix was brought to Smile by herbalist Teresa Boardwine from Holland, where its original name was Sterren Mix. It is a "stellar aromatic digestive blend," wonderfully flavored with Star Anise, and other carminitive herbs that may help relieve indigestion and gastritis. It is a delicious, minty tea that makes a great follow up to meals. healthy intestinal flora. Licorice has been used in Eastern and Western herbal traditions to make coughs more productive and as a vitalizing herbal tonic. in tea blends for coughs and respiratory irritation, as well. Chamomile is a gentle, soothing herb commonly used for insomnia, inflammation, and digestive complaints. It is safe to use with children. Cardamom is one of the best, gentlest digestive stimulants in the herbal world. It encourages the appetite and flow of digestive juices while relieving gas, griping pains, and stomachaches. Turmeric (Curcuma longa) is a powerful antioxidant that promotes a healthy inflammatory response and healthy liver. Full Spectrum™ Turmeric utilizes organically grown roots and contains Bioperine® to enhance bioavailability of turmeric's curcuminoids. Cayenne is both an intense food and a medicine. Cayenne increases digestive fire, circulation and absorption of the other herbs in the formulas. Rich in flavonoids and carotenoids, these hot fruits have anti-inflammatory and antioxidant activity. They help prevent atherosclerosis, improve metabolism, and reduce histamine response. This product is not intended to diagnose, treat, cure or prevent any disease; the law applicable to dietary supplements, the Dietary Supplement Health and Education Act of 1994, commonly referred to as DSHEA, does not permit us to do so and it is not our intention to do so. The Contraindications and Potential Drug Interactions information provided on this website is not intended to be all-inclusive. Keep your healthcare provider informed about any herbal and other dietary supplement products that you are taking. This organic Garlic supplement is carefully processed to retain many of the important compounds that are naturally found in raw Garlic. An Egyptian medical text dating back to 1,500 BC, documents the use of Garlic for hypertension, worms, and tumors. Well preserved cloves of Garlic were found in the tomb of King Tutankhamen. Since then, it has been revered by many cultures throughout the world. Currently, Garlic is one of the most widely used herbal compounds in the United States, with ongoing research in several areas related to cardiovascular health, oncology and infectious disease (which is still preliminary and not yet clinically proven). The sulfur compounds are especially important, and have been the focus of many clinical trials suggesting their use in supporting cardiovascular health. Its mechanism of action appears to be related to multiple sulfur compounds and not only to allicin as was previously believed. The sulfur compounds are indicated in this product by the natural Garlic odor. No fillers or masking agents have been added. Warnings & Disclaimers: Use cautiously in individuals with bleeding disorders, or who are taking anticoagulant medications, due to an increased risk of bleeding. Individuals with acute or chronic stomach inflammation should use with caution. Use Garlic products with caution if pregnant or nursing. Keep out of reach of children. Discontinue if unusual symptoms occur. Do not exceed recommended dose unless under the guidance of a health care professional. Avoid in individuals with a known allergy or sensitivity to Garlic, or to other members of the Lily family including onion, leek and chives. Caution: As with any dietary or herbal supplement, you should advise your health care practitioner of the use of this product. If you are nursing, pregnant, or considering pregnancy, you should consult your health care practitioner prior to using this product. This product is not intended to diagnose, treat, cure or prevent any disease; the law applicable to dietary supplements, the Dietary Supplement Health and Education Act of 1994, commonly referred to as DSHEA, does not permit us to do so and it is not our intention to do so. The Contraindications and Potential Drug Interactions information provided on this website is not intended to be all-inclusive. Keep your healthcare provider informed about any herbal and other dietary supplement products that you are taking. Solaray® organiclly grown products are 100% vegan, excipient free and contain no fillers or additional ingredients. Organic farming protects consumers' and farm workers' personal health, improves soil and water purity, encourages biodiversity and supports small farming operations. disinfectant, digestive tonic, and blood cleanser. The Slippery Elm is native to eastern Canada, and the eastern and central United States, where it is found mostly in the Appalachian Mountains. Its name refers to the soothing slippery consistency the inner bark assumes when it is chewed or mixed with water. Native American healers have used the dried inner bark of Slippery Elm trees for centuries, internally and externally.